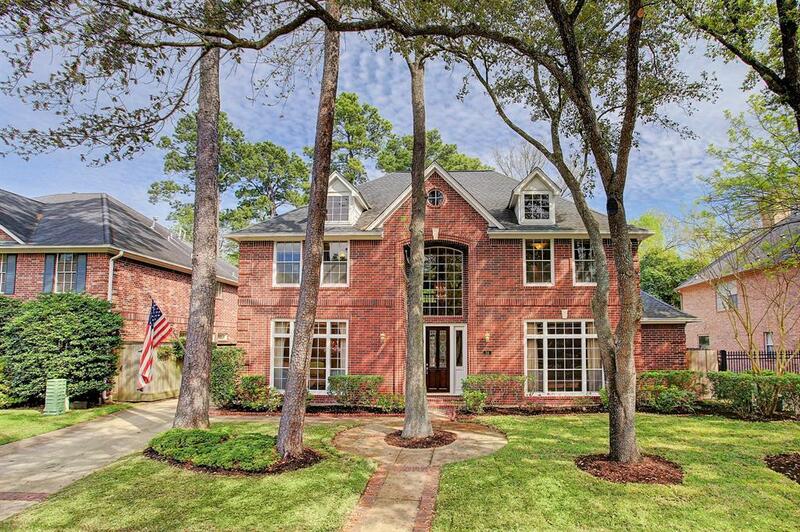 Lovely custom home on wooded lot in Hilshire Village in SBISD. 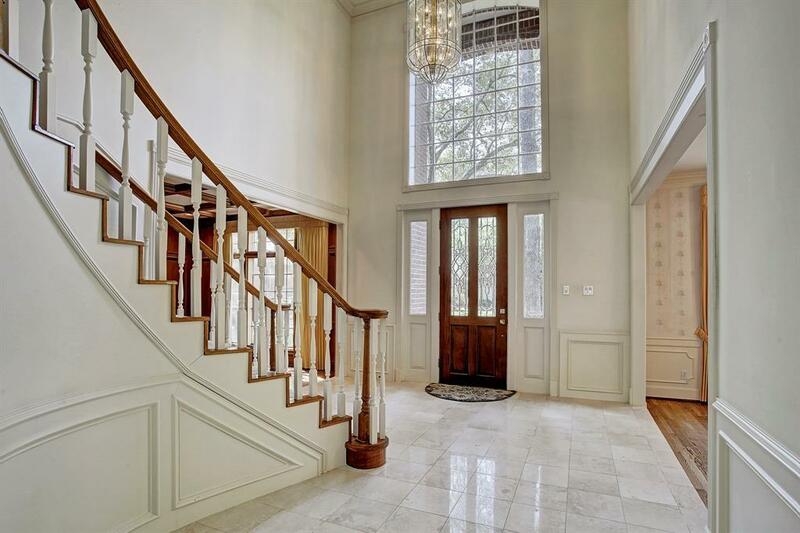 Grand marble entry with high ceilings, natural light and winding staircase, is flanked by living and dining rooms. Living room/study has custom woodwork and coffered ceiling. Family room has wood floors, fireplace, custom wood display shelves, a bar and expansive views to the backyard. Island kitchen opens to breakfast room with desk. Sizable laundry room off kitchen. Large master suite downstairs with wall of French doors and windows to backyard. Bath with separate his and her walk-in closets. Upstairs is a game room with desk and bookcases, walk-in cedar closet, and three bedrooms. One bedroom with en-suite bath and 2 bedrooms which share a Jack & Jill bath. Two car garage is attached to house by covered breezeway. Covered porch overlooks fenced yard which is a private oasis. 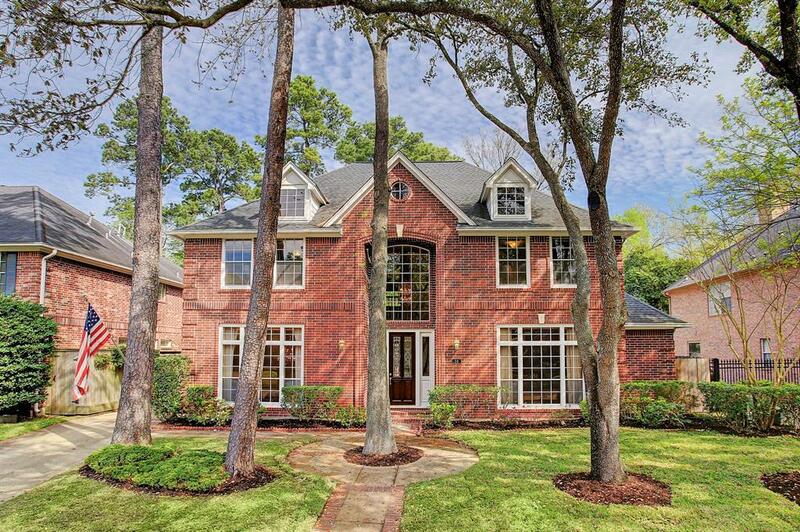 Spacious home with custom woodwork throughout, wood floors, and large closets. No flooding ever! 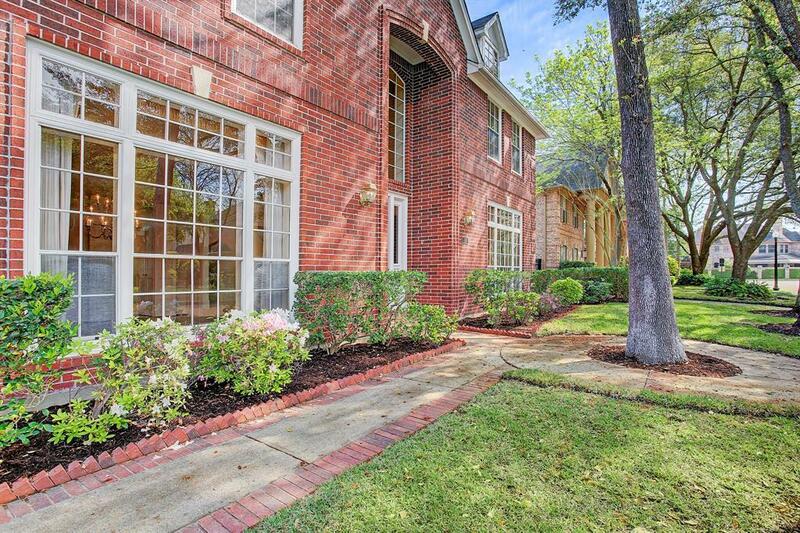 Easy access to I-10, Downtown, and Memorial City.